Your professional and personal financial needs change throughout your life and your Private Banker is here to be your guide. 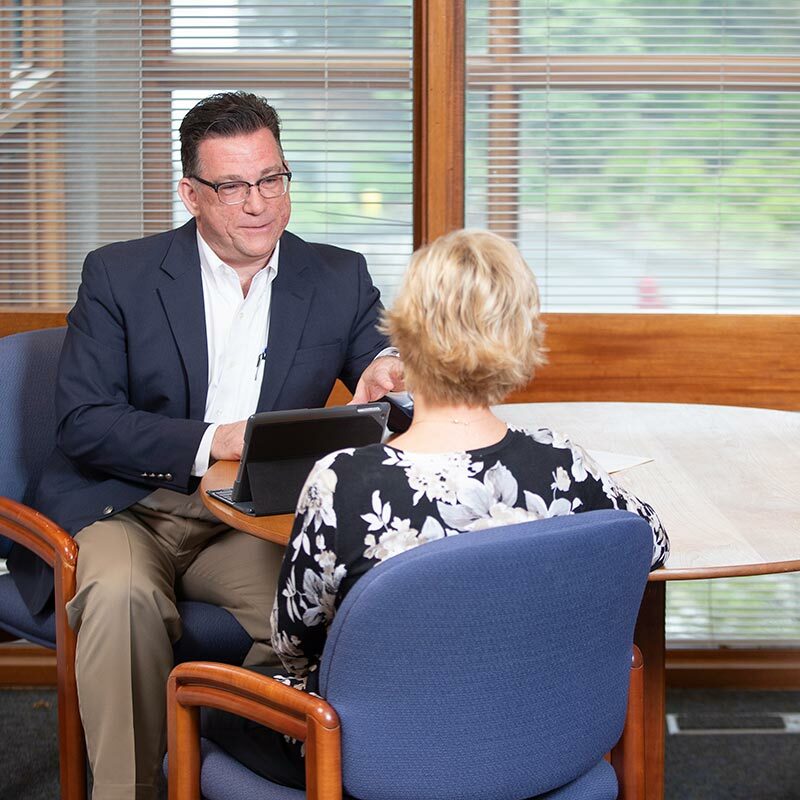 Private Banking at Mascoma Bank starts with what we have always been known for: putting our customers first, understanding the big picture, and providing the right tools to meet every goal. Private Banking blends these ideals together with a level of expertise and coordination that helps today’s professionals navigate increasingly complex financial needs. To help you, our Private Banking department is committed to providing exceptional support with financial management, business planning, investments, insurance, philanthropy, retirement, and beyond—all tailored to your unique needs and goals. A typical Private Banking client has both a consistent stream of long-term income and a need for traditional banking services including financing/borrowing to support life or business goals. Whether those financing needs are personal (home, auto, education, recreation) or professional (practice acquisition financing, equipment purchases, practice real estate financing, business investments), Mascoma Bank is ready to help. At the same time, there is an ever-growing number of other considerations, from insurance and tax planning to estate planning and wealth management, that need to be factored in. Your expertise is rooted in your profession while our expertise stems from identifying the financial challenges you will face before they occur. We ask questions, employ a comprehensive discovery process, and use our knowledge to guide you in making the wise financial decisions that will keep you on the road to long-term financial success. Your Private Banker brings a big-picture vision to every challenge and opportunity, years of experience, and a broad understanding of the tools available to you. You may not have walked this path before, but we have, and we’re here to help.